When a book lover has a favorite book, it's rarely enough to own just one copy of the book or one format of it. 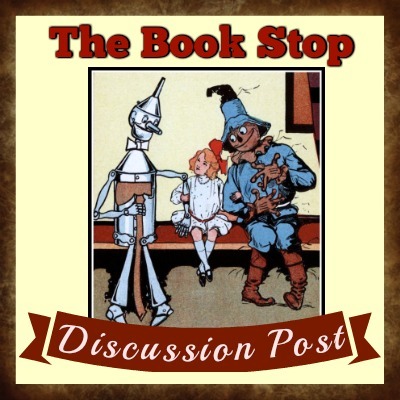 The book becomes a collector's item for the reader, who delights in finding anything from the original hardback or paperback to the audio version to a bobble doll of the main character. 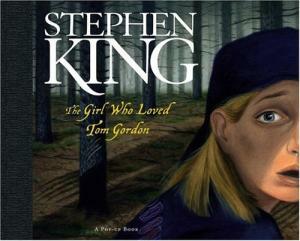 So, it is with Stephen King's The Girl Who Loved Tom Gordon for me. 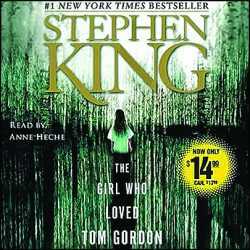 It is without a doubt my favorite Stephen King novel, as well as one of my favorite novels. This particular tale of King's is one of his shorter ones, 244 pages, but it is one of his most powerful, too. I own book versions, audio, and the pop-up edition. I haven't seen the movie version because I just don't want to take the risk of something so special being ruined by a movie adaptation. The images I've formed in my mind from reading the book are truly too precious to ruin. 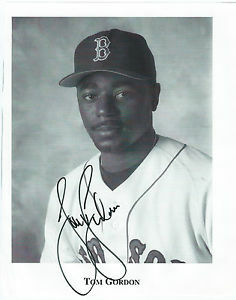 Published in 1999, the Tom Gordon in the title was a real pitcher for the Boston Red Sox, and it came out on April 6th that year, opening day for the 1999 Red Sox season. It rose to #1 on the New York Times Best Seller list, and it was King's current book when he was hit by a car that June and almost died. An article that gives great background on this book and King's relationship to it can be found @ http://www.tor.com/2015/07/24/the-great-stephen-king-reread-the-girl-who-loved-tom-gordon/ This 2015 article is written by Grady Hendrix, who is the author of the 2014 novel Horrorstor and the just released My Best Friend's Exorcism. "The world had teeth and it could bite you with them anytime it wanted." King's new novel, which begins with that sentence, has teeth, too, and it bites hard. Readers will bite right back. Always one to go for the throat, King crafts a story that concerns not just anyone lost in the Maine-New Hampshire woods, but a plucky nine-year-old girl, and from a broken home, no less. This stacked deck is flush with aces, however. 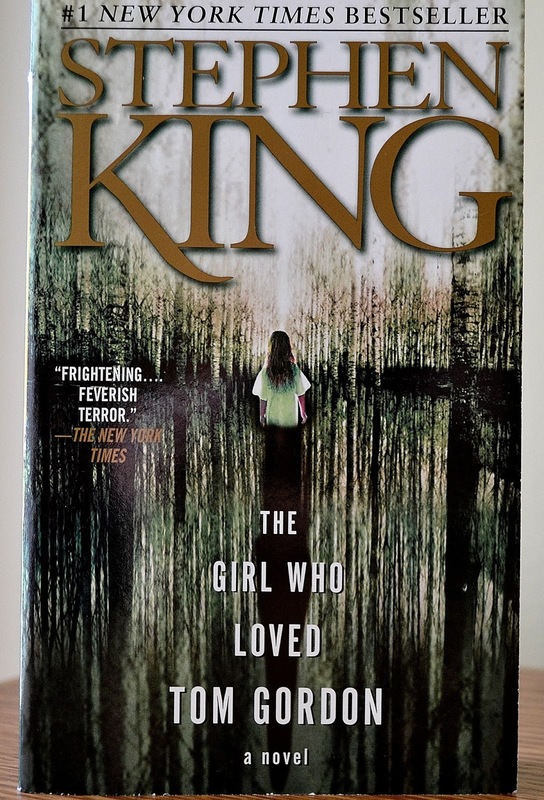 King has always excelled at writing about children, and Trisha McFarland, dressed in jeans and a Red Sox jersey and cap when she wanders off the forest path, away from her mother and brother and toward tremendous danger, is his strongest kid character yet, wholly believable and achingly empathetic in her vulnerability and resourcefulness. 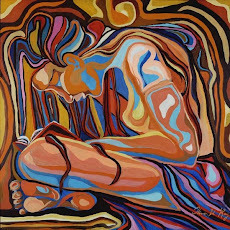 Trisha spends nine days (eight nights) in the forest, ravaged by wasps, thirst, hunger, illness, loneliness and terror. Her knapsack with a little food and water helps, but not as much as the Walkman that allows her to listen to Sox games, a crucial link to the outside world. Love of baseball suffuses the novel, from the chapter headings (e.g., "Bottom of the Ninth") to Trisha's reliance, through fevered imagined conversations with him, on (real life) Boston pitcher Tom Gordon and his grace under pressure. King renders the woods as an eerie wonderland, one harboring a something stalking Trisha but also, just perhaps, God: he explicitly explores questions of faith here (as he has before, as in Desperation) but without impeding the rush of the narrative. Despite its brevity, the novel ripples with ideas, striking images, pop culture allusions and recurring themes, plus an unnecessary smattering of scatology. It's classic King, brutal, intensely suspenseful, an exhilarating affirmation of the human spirit. thanks for the recommend. For me, Stephen King books can be hit or miss. I'll put it on my good reads. I'm the same way, and don't need to see the movie if the book was good. Ken, I'm so happy to see you comment here. I agree about the hit or miss with Stephen King's books. I remember after reading Rose Madder years ago, I thought I'd never read one of his books again, but then I did. I don't read a lot of Stephen King, but the book in this post had an off-beat spiritual aspect to it that resonated with me. Thanks for stopping by the blog, Ken!